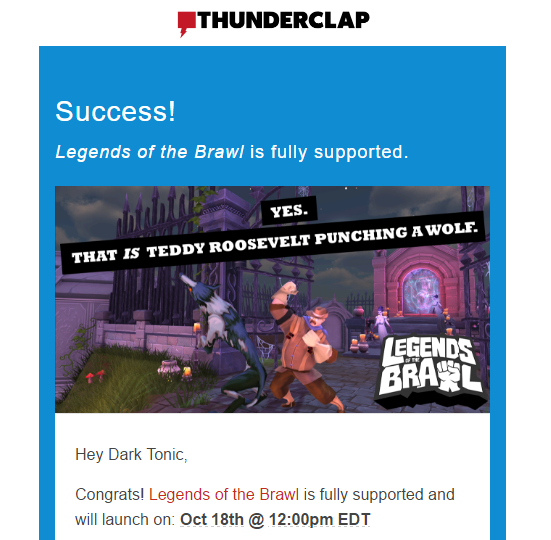 Dark Tonic Games Studio: Thunderclap is good to go! Thunderclap is good to go! 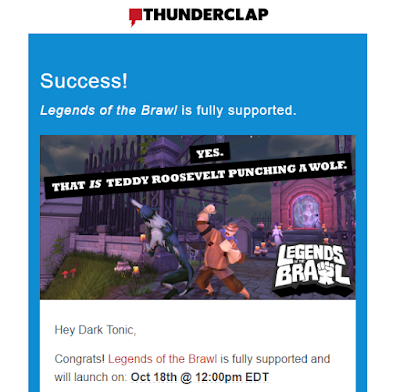 Huge thanks to everyone that added their support to the Thunderclap campaign! We managed to hit our goal in just 24 hours and are set to make a nice splash next Tuesday. We can't thank you enough.